It is very important to visit the Animal Shelter in person. But, this is a good place to start. This map is updated hourly by Animal Care Officers in the field. If you see your animal on this map, call the Animal Shelter at (254) 750-7091, or Animal Care at (254) 750-1765, with the animal ID number of your pet (ie, A076543) with the location and description of your pet and/or visit the shelter as soon as possible to start the reclaim process. Check below for your pet! Animals are brought in by Animal Care Officers 24 hours a day from all over the Central Texas area. You should check the Animal Shelter (2032 Circle Road) at minimum every day. You can also check the animal inventory on the Humane Society of Central Texas' website. If you do not see your animal in Intake, walk the adoption kennel wings: Young, Duncan & Rapoport. Notify a staff member immediately if you see your animal so the kennel can be properly tagged with your information. Staff members will give you instructions to follow to reclaim your pet. Still can't find your pet? Don't give up! 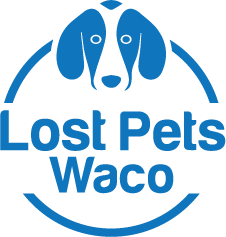 - Post your lost pet on CenTex Lost Pets website, Facebook page or the Central Texas Lost & Found Pets Facebook Page. Use your personal social media accounts to advertise your pet with images and where he/she was lost. We recommend posting daily with many photos. Hang flyers around your neighborhood and post information to Craigslist and other apps available such as NextDoor. If you cannot make it to the shelter to look for your pet, please keep checking the Humane Society of Central Texas' website. The website is populated by shelter inventory. Please note: NOT ALL animals will show up on the site. It is VERY important to come to the shelter to look for your animal.